These rarely seen phenotypes are of uncertain identification. That on the left is likely a rare green morph of P. heliodiscus, those on the right appear to be P. cf toxica. Notice the difference in tentacle length. (Continued from Part 1) When it comes to toxic palys, it is the drab brown specimens that we see most often, but there may be at least some colorful phenotypes being fragged. These are traded under the names “Purple Death Paly” and “Nuclear Green Paly”. 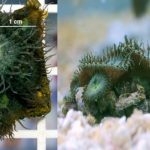 A definitive identification of these and other similar colorful, short-tentacled morphs awaits morphological and genetic study, but caution is warranted until these are proven safe (especially for those doing the fragging!). Various patterns in P. grandis. This blotchy, irregular patterning is distinctive for the species. Another species which could cause confusion is the rather distinctive Atlantic endemic Palythoa grandis. 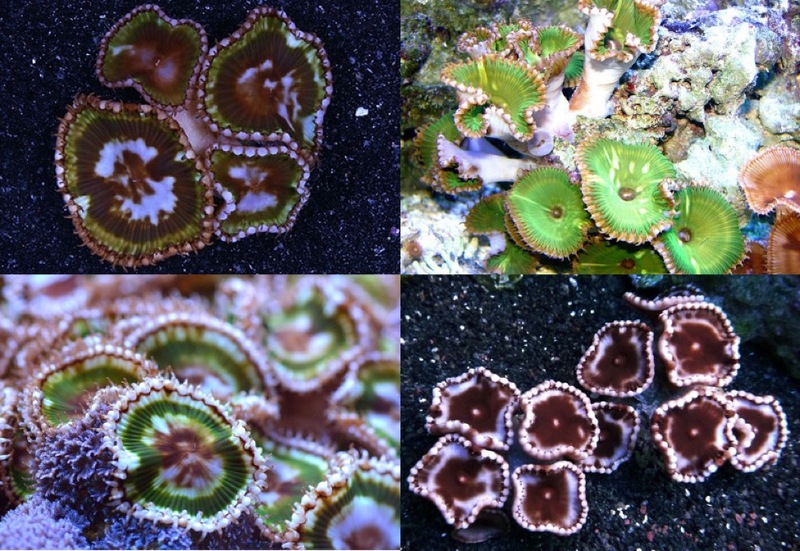 As the name implies, these are some of the largest button polyps, reaching upwards of 25mm in disc diameter. 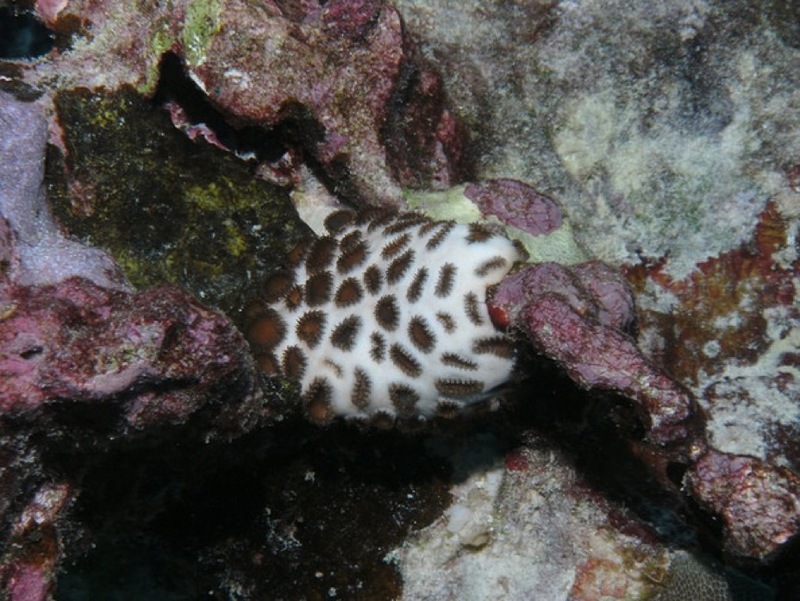 The color patterns are fairly diagnostic, showing an unusual mottling not common in the Pacific species. 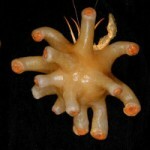 The tentacles of grandis are miniscule for such a large polyp, and there are no capitulary ridges. In large polyps, the oral disc is often held in a characteristically convoluted shape. These are uncommonly seen and only available from Caribbean collectors, with colonies typically having few individual polyps. It is unknown if this species contains palytoxin—P. grandis has at times been placed near to heliodiscus in genetic studies, so it is certainly plausible that this may be a dangerous species. One final species worth mentioning is a relative of the true “zoas” which is placed in its own genus, Neozoanthus. 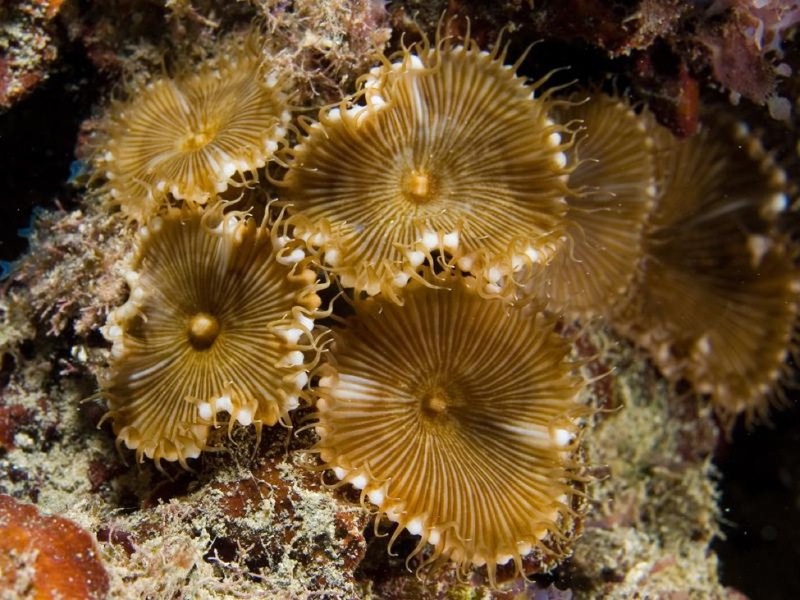 They appear superficially quite similar to Palythoa in possessing thin, tapering tentacles and primarily brown colors, but their genetics and inability to incorporate sand into their tissues confirms their placement within Zoanthidae. 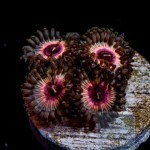 They are also far smaller than any Palythoa species, even smaller than most Zoanthus. These are unlikely to ever be encountered for sale as large colonies, and even less likely to be offered with a correct identification, but I have certainly seen specimens imported, most often appearing alongside more “desirable” corals. Presumably, these are lacking in palytoxin. 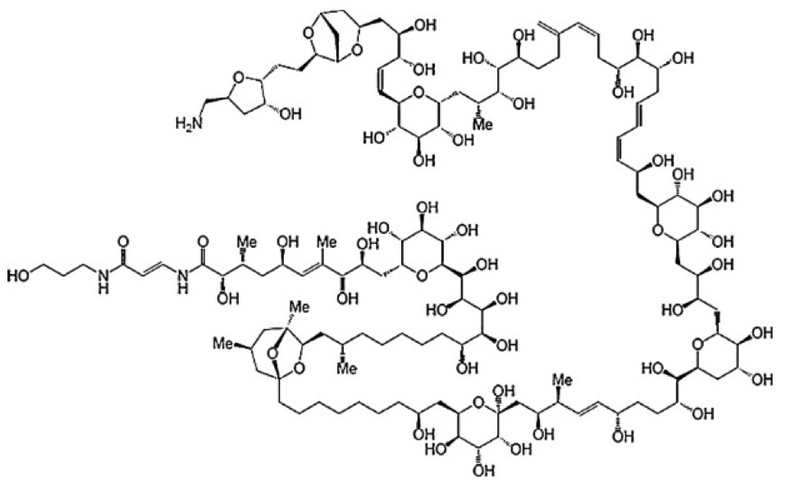 Aside from Palythoa heliodiscus/cf toxica, palytoxin is known from a common dinoflagellate (Ostreopsis) and a cyanobacterium (Trichodesmium), each with a slightly different structure to the molecule and varying toxicity. It is even mentioned to occur in the Long Tentacle Anemone (Radianthus macrodactylus), though I’ve never heard of this species being associated with toxic effects on humans. Reported to be the second most lethal naturally occurring toxin, miniscule amounts could easily kill a person. It functions by disrupting the sodium/potassium pumps which are vital to the proper functioning of our bodies, shutting down control over major processes like neural signalling and regulation of cell volume. Basically, it opens the doors to our cells so that any ion can pass through. Experimental study has shown that within 5 minutes of exposure, mitochondria cease to function, leading to the inevitable death of the affected cell. Associated with this is an increase in stress proteins, a decrease in haemoglobin, and rhabdomyolysis—the death of muscle fibers—which can lead to kidney failure and death. 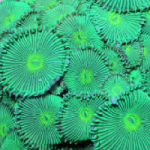 Cases of palytoxin exposure documented in the medical literature have occurred in a variety of ways and published images of the offending coral appear to correspond to the cf toxica phenotype. There are multiple reports of patients who reported symptoms merely from handling specimens without wearing gloves, often with cuts on their hands. The primary symptoms seem to affect the nervous system and include paresthesia (“pins and needles” feeling) in sensitive regions like the lips, as well as dysgeusia (a bitter metallic taste), dizziness, general weakness, myalgia (muscle pain), fever, coughing, vomiting, elevated heart rate, low blood pressure, and other general unpleasantness. The Mediterranean has seen cases of palytoxin poisoning associated with the marine alga Ostreopsis, resulting in dermatitis from swimming in waters experiencing an algal bloom or respiratory problems from aerosolization in heavy surf. Another cf mutuki seemingly without capitulary ridges on the exterior (see lower left polyp). Note the elongated tentacles. One particularly unfortunate aquarist has shared his ordeal of inhaling palytoxin (yikes!) while trying to boil away these pests from his live rock. The aerosolized palytoxin wreaked havoc to his lungs, requiring an emergency room visit, steroids, inhalers, cough suppressants and lasting asthma-like symptoms for some eight months. One pregnant woman who had recently cleaned her aquarium ended up hospitalized for days with symptoms, going into premature labor within a day of exposure! (The child, born three months prematurely, was reported to show no ill effects.) Less severe intoxications have occurred from even minor exposures, such as cleaning dry PVC pipes with hot water after having previously been used in an aquarium containing the offending coral. Even household pets have shown effects when exposed to palytoxin, either through ingestion or when aerosolized. Potent stuff! Palythoa tuberculosa (=P. caesia) forms a thick mat with imbedded polyps. It is rare in aquariums, but probably safe. Another under reported fact is the known effect palytoxin has on the promotion of certain signaling pathways which can lead to skin cancers. It’s ability to encourage cancerous growths likely requires repeated exposures (such as the kind an aquarist might be susceptible to), as these pathways require two steps: and initial exposure and repeated subsequent exposures. Without the latter, a single exposure leading to initiation of carcinogenic pathways will not inherently lead to tumor formation. Palytoxin uses a novel approach to stimulating tumor growth, and it thus offers an important tool for researchers in studying, and perhaps inhibiting, cancer. Still, for aquarists who regularly expose themselves to palytoxin, this may be of little comfort. Note that palytoxin can also make its way into the seafood that we eat, with some of the most frequent reports of poisoning coming from Pacific islanders with a diet heavy in these foods, meaning even non-aquarists are at potential risk. This P. grandis is nearly identical to P. heliodiscus, but notice the white mottling and wavy edge to the oral disc. Do these similarities indicate a close relationship, and, if so, is P. grandis also high in palytoxin? For those of you now suspecting the presence of Palythoa heliodiscus/cf toxica in your aquarium, you might be wondering what you should do about it? The answer ultimately depends on how cautious you wish to be. To throw some anecdotal fuel on the fire, I have personally dealt countless times with the cf toxica phenotype and have never fallen ill. I have unwittingly bathed in its toxic mucus with nary a sniffle. I have fragged polyps off rocks outside of water and was none the worse for wear. I have known aquarists whose tanks were entirely overrun in cf toxica, and who regularly broke colonies apart to swap them out for clean live rock, with no ill effects. Which raises the obvious question, have I been incredibly lucky or is there variation to our palytoxin susceptibility? Which purple “paly” is the safer choice? Hint, the one on the right. That on the left may be a colorful variant of cf toxica. Given the potentially lethal consequences of this toxin and its well-documented medical history, I would not encourage anyone to take a cavalier attitude towards it. In researching this article, I have become mildly frightened of this species and would never again let it anywhere near me. For those of you with children, it is probably a good idea to eliminate it from your aquarium as quickly and carefully as possible. Kids do stupid things all the time, like playing with palytoxin. Wear gloves, throw the colony in the trash, and take the trash outside. 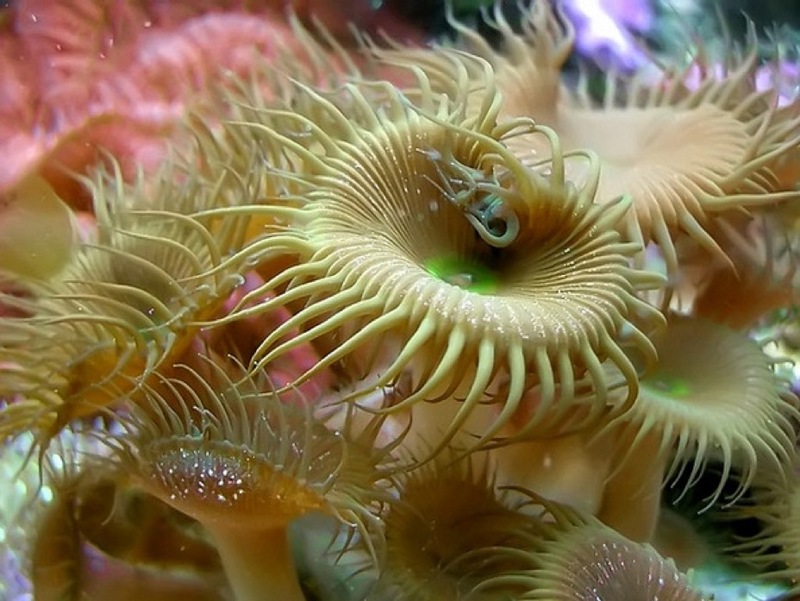 If your entire tank is covered in these polyps, you are left with a difficult choice. Kalkwasser paste, when applied with a syringe to completely smother the polyp and left to harden, can do a remarkable job of killing unwanted polyps, but you run the risk of liberating the toxin by melting them with this method. It’s quite possible that the highly alkaline nature of kalkwasser would denature the palytoxin molecule and render it harmless, but this is pure speculation. The aquarium industry has been remarkably laissez-faire when it comes to the risks of keeping this coral. 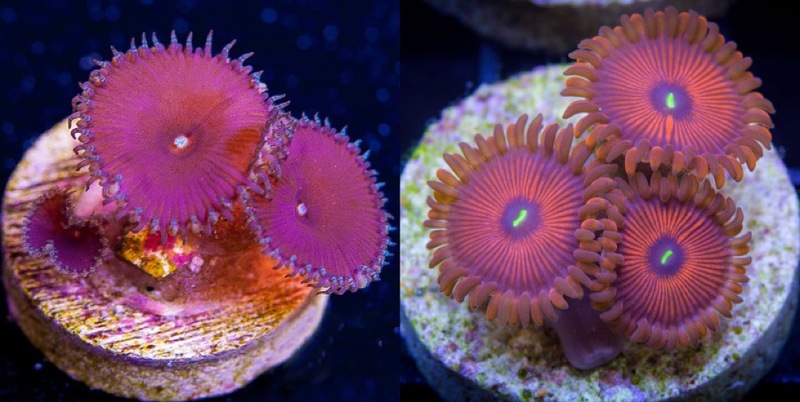 For years, there has been little scientific data to properly understand how dangerous zoas and palys truly were. Only with a recent uptick in zoantharian research do we finally have a decent understanding of which species are safe and which are to be avoided like the plague. Fortunately for aquarists, there only seems to be a couple species which pose any great danger, and both of these are usually ugly and identifiable corals. There is no reason P. heliodiscus/cf toxica should ever be sold to an aquarist, there is simply too much of a risk involved. There is a moral responsibility that wholesalers, retailers and hobbyist coral fraggers need to accept. While well-known nuisances like “aiptasia” may disproportionately incur the wrath of many, Palythoa heliodiscus and cf toxica are the true pests of the aquarium world and ones which have no place in our reef tanks. Kill them, kill them with fire! Charlson, A. T., Zeliadt, N. A, and E. V. Wattenberg. 2009. Extracellular signal regulated kinase 5 mediates signals triggered by the novel tumor promoter palytoxin. Toxicology and Applied Pharmacology 241(2):143-53. Hamade, A. K., S. E. Deglin, J. B. McLaughlin, J. R. Deeds, S. M. Handy, and A. M. Knolhoff. 2015. Suspected Palytoxin Inhalation Exposures Associated with Zoanthid Corals in Aquarium Shops and Homes — Alaska, 2012–2014. Centers for Disease Control and Prevention. Centers for Disease Control and Prevention, 14 Aug. 2015. Web. 27 Aug. 2015. Hoffmann, K., Hermanns-Clausen, M., Buhl, C., Büchler, M.W., Schemmer, P., Mebs, D., and Kauferstein, S. 2008. A Case of Palytoxin Poisoning Due to Contact with Zoanthid Corals through a Skin Injury. Toxicon 51.8: 1535-537. Reimer, J. D., Hirose, M., Irei, Y., Obuchi, M., and Sinniger, F. 2011. The Sands of Time: Rediscovery of the Genus Neozoanthus (Cnidaria: Hexacorallia) and Evolutionary Aspects of Sand Incrustation in Brachycnemic Zoanthids. Marine Biology Mar Biol 158.5: 983-93. Mahnir, V. M., Kozlovskaya,E. P. and Kalinovsky, I. P. 1992. Sea Anemone Radianthus Macrodactylus — A New Source of Palytoxin. Toxicon 30.11: 1449-456. Nordt, S. P., Wu, J., Zahller, S., Clark, R. F. and Cantrell, F. L. 2011. Palytoxin Poisoning After Dermal Contact with Zoanthid Coral. The Journal of Emergency Medicine 40.4: 397-99. Pelin, M., Sosa, S., Pacor, S., Tubaro, A., and C. Florio. 2014. The marine toxin palytoxin induces necrotic death in HaCaT cells through a rapid mitochondrial damage. Toxicology Letters 229: 440-450. Reimer, J. D. 2010. 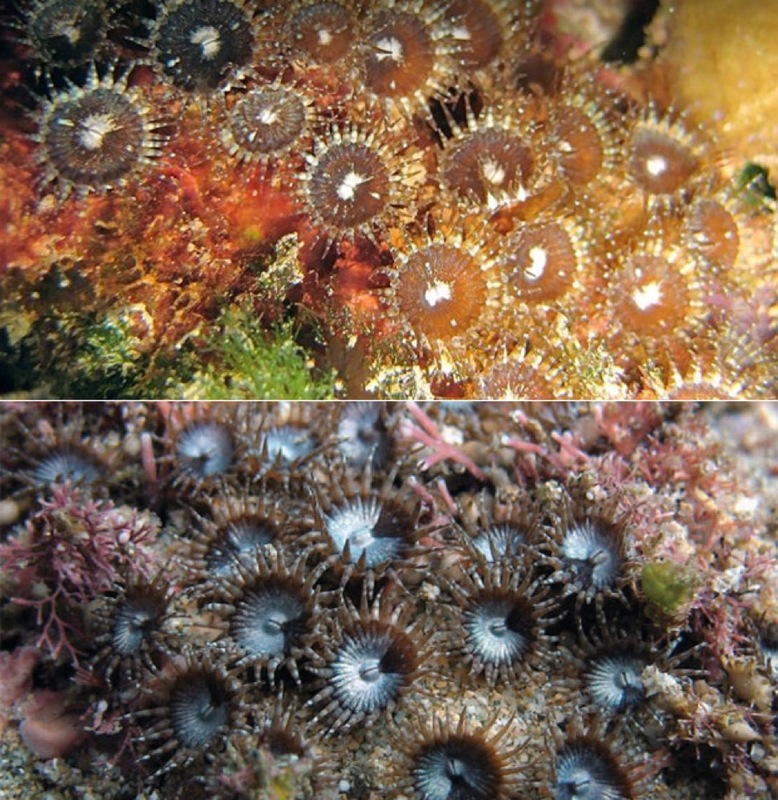 Key to Field Identification of Shallow Water Brachycnemic Zoanthids (Order Zoantharia: Suborder Brachycnemina) Present in Okinawa. Galaxea, Journal of Coral Reef Studies 12.1: 23-29. Reimer, J. D., Albinsky, D., Yang, S., and Lorion, J. 2014. Zoanthid (Cnidaria: Anthozoa: Hexacorallia: Zoantharia) Species of Coral Reefs in Palau.” Mar Biodiv Marine Biodiversity 44.1: 37-44. Reimer, J. D., Ono, S., Takishita, K., Tsukahara, J. and Maruyama, T. 2006. Molecular Evidence Suggesting Species in the Zoanthid Genera Palythoa and Protopalythoa (Anthozoa: Hexacorallia) Are Congeneric.” Zoological Science 23.1: 87-94. Reimer, J. D., & Todd, P. A. 2009. Preliminary molecular examination of zooxanthellate zoanthid (Hexacorallia, Zoantharia) and associated zooxanthellae (Symbiodinium spp.) diversity in Singapore. Raffles Bulletin of Zoology, 22, 103-120. Rumore, M. M., and Houst, B. M. 2012. Palytoxin Poisoning via Inhalation in Pediatric Siblings. International Journal of Case Reports and Images IJCRI 5.7: 501. Ryland, J. S., and Lancaster, J. E. 2003. Revision of Methods for Separating Species of Protopalythoa (Hexacorallia : Zoanthidea) in the Tropical West Pacific. Invertebrate Systematics Invert. Systematics17.3 (2003): 407. Sala, G. L., Bellocci, M. and Rossini, G. P. 2009. The Cytotoxic Pathway Triggered by Palytoxin Involves a Change in the Cellular Pool of Stress Response Proteins. Chem. Res. Toxicol. Chemical Research in Toxicology 22.12: 2009-016. Suput, D. 2009. In vivo effects of cnidarian toxins and venoms. Toxicon 54(8):1190-200. Wham, D. 2013. 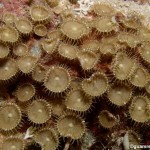 “Reefs Magazine – Identify This: Zoanthids” Reefs.com. N.p.,Web. 27 Aug. 2015. Wiles, J. S., J. A. Vick, and M. K. Christensen. 1974. Toxicological Evaluation of Palytoxin in Several Animal Species. Toxicon 12.4: 427-33.